Thin, thicker, thickest. It's always a good idea to start with a thin base layer, like a soft legging and build from there. The next layer is a thicker and the thickest layer usually lays overtop. Keep everything in proportion. I like how my Tek Gear leggings hit my ankle then the tunic stops above my knees and then the fuzzy sweater hits my waist. This keeps my body in proportion and makes sure that I don't get lost in a sea of layers. Mix Textures. 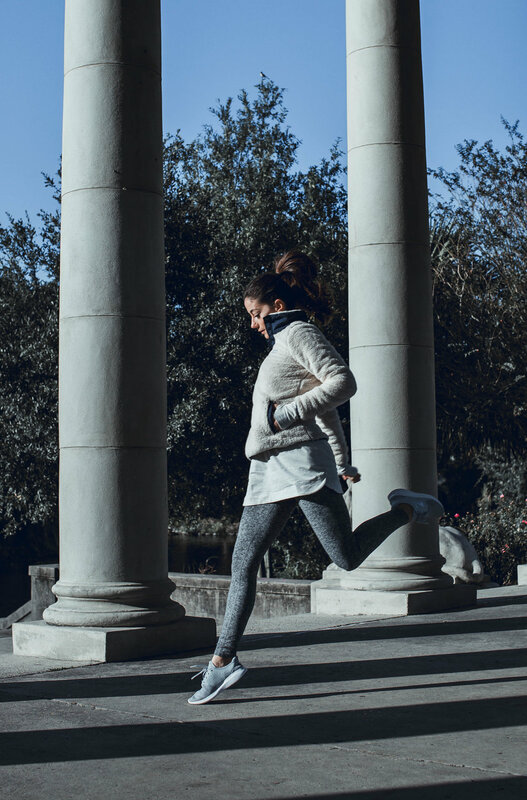 There are so many advancements in athletic fabric that it’s now so fun to mix and match and still keep performance elements mixed with a bit of fashion. The feeling of this Columbia fleece is so unbelievably cozy! It mixes well with the really soft matte vibe of the leggings. I wish you could feel the texture through the computer. It's also super warm. Keep a similar color palette. This helps keep everything really cohesive. I added a subtle pop of a really soft, neutral blue on my feet to pull in the navy in the sweatshirt. I love these types of little details. These New Balance sneakers from Kohl's are incredibly lightweight because of the knit element. Perfect to stick in my suitcase for travels. Invest in pieces that are functional. These leggings actually have a high waist so they keep everything in while exercising and to be honest, this time of year, I’m happy to have the extra stretch and support. These get rave reviews on the Kohl’s website and it’s well deserved. I will definitely be traveling in these as well! 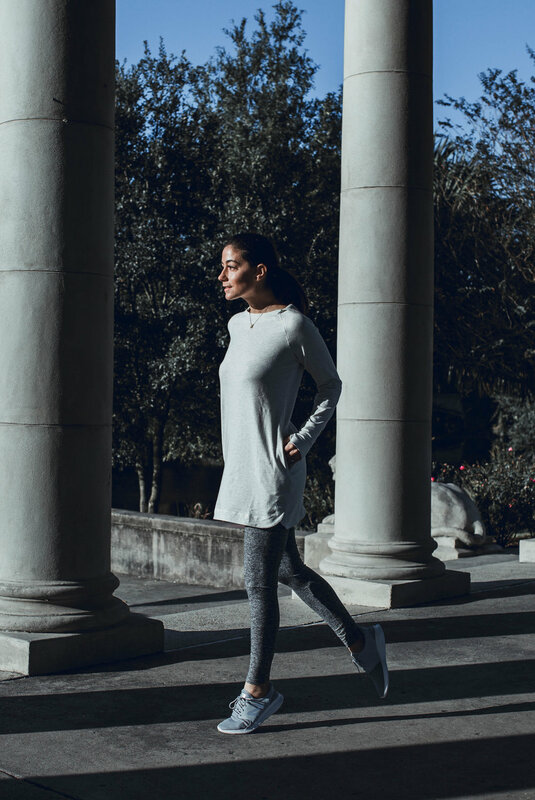 The Tek Gear hoodie tunic dress is actually made of moisture wicking tech and has thumb holes in the sleeves so it’s a great true athleisure hybrid of fashion and active. I think it’s so great that we have so many options that don’t scream “I just left the gym”. Athleisure really is half about the leisure part, so don’t be afraid to look a bit loungey. Happy holidays!